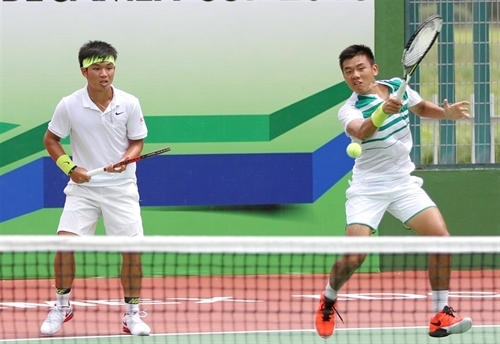 HÀ NỘI — Lý Hoàng Nam and Nguyễn Hoàng Thiên entered the men’s doubles semi-final of Việt Nam F2 Men’s Futures in the southern province of Bình Dương yesterday. The Vietnamese pair came from behind to defeat Chinese Cao Zhaoyi/Wang Aoran 1-6, 6-3, 10-4 after one hour and 30 minutes. Nam and Thiên will meet the winner of the match between Japanese Kikuchi Gengo/Takeshima Shunrou and Imai Shintaro/Onozawa Arata.